Turn the house lights down, turn the music up. Rock 'n Bowl is full sensory entertainment. 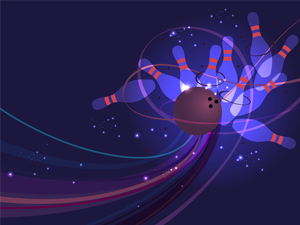 Bowl to an energetic sound and laser light show every Saturday night. It's cosmic! Come together for fun, food and drinks. Ozzie's Place has a contemporary casual atmosphere with indoor/outdoor fireplace and patio seating. Enjoy live music on the weekends. 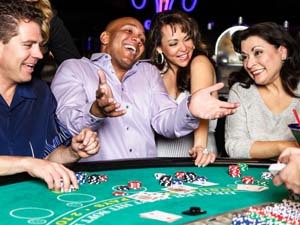 Variations of Poker, Blackjack and other Vegas-style table games await you in the Casino. 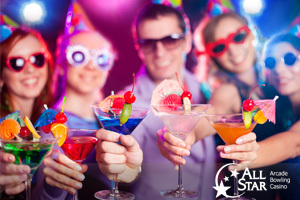 There's always something exciting happening at All Star--live music, tournaments, tastings and parties. Come out and play! Click here if your band desires to be considered as a future entertainment feature at Ozzie's Place.